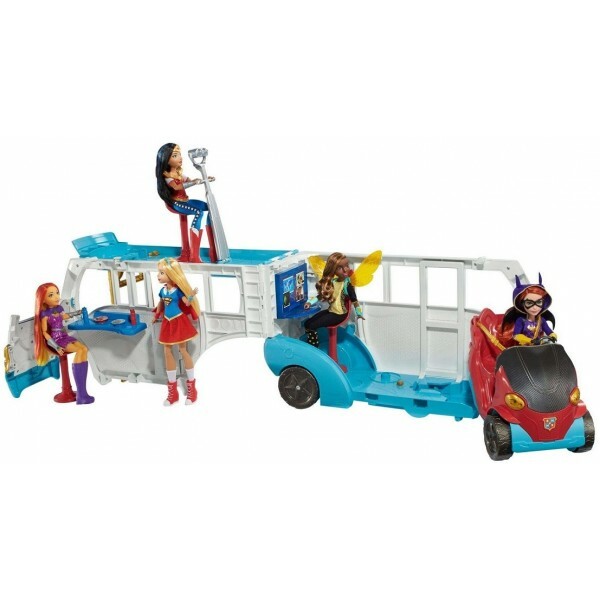 The DC Super Hero Girls get on the move with this awesome bus that's perfectly sized to fit their line of 12" articulated dolls! 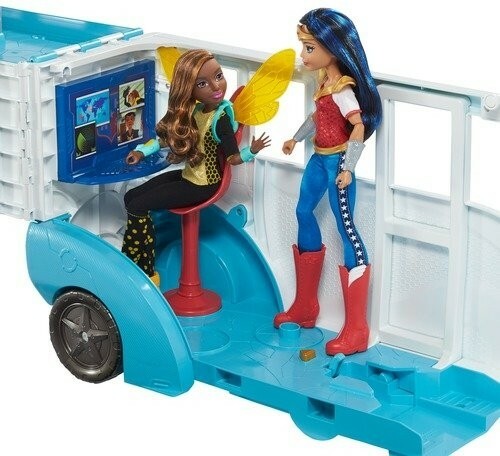 The two-in-one vehicle transforms from a school bus into a play set more than 3 feet wide -- and it hides a removable car for two Super Hero girls to race to the rescue. 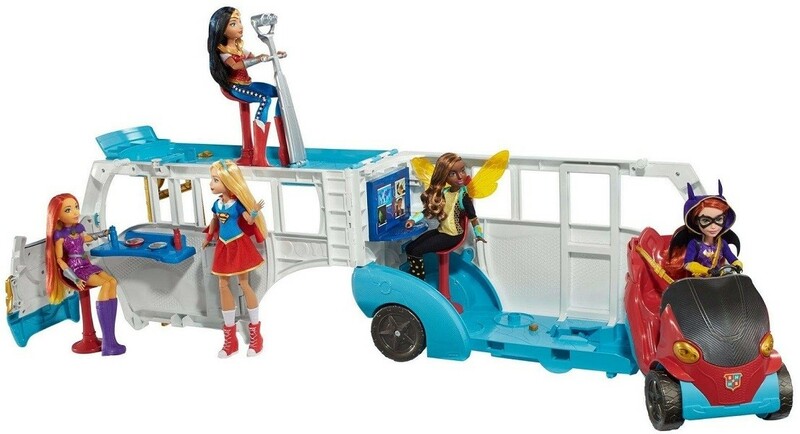 In bus form, the vehicle is ultra-cool with Super Hero graphics, bright colors, rolling wheels and room for five DC Super Hero Girls 12-inch action dolls. 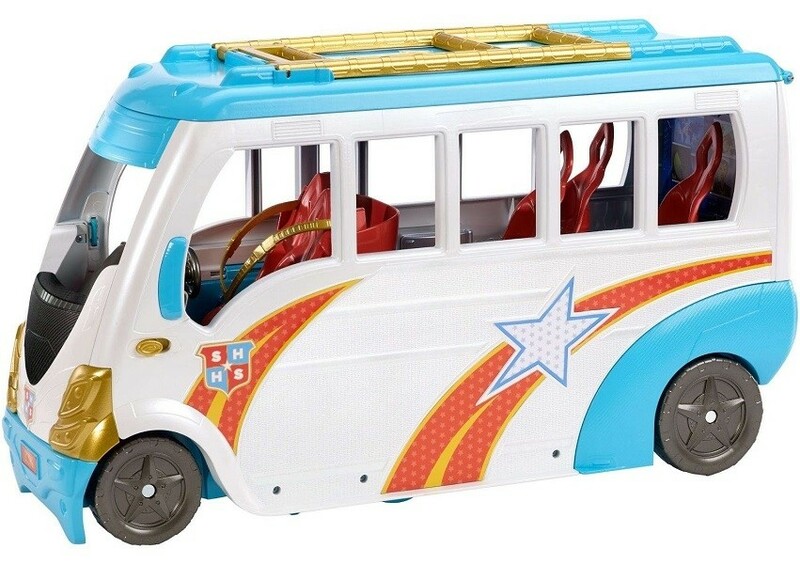 Once you've reached your destination, flip over the roof and pull the bus open to expand horizontally. Hold "save the day" meetings with the comm stations and data screens in the bus body. On the roof, a "telescopic viewer" pops up to help one of the DC Super Hero Girls keep a lookout. When it's time to hit the road for the next mission, fold it all back together and load the passengers. From a routine school day to a Super Hero adventure, the galaxy is the limit! 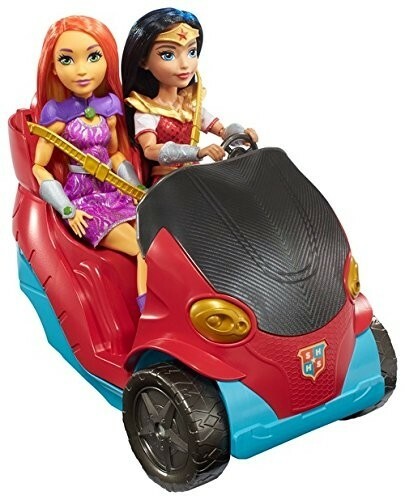 Please note: dolls sold separately.